Since I put together a Mother's Day gift guide last month, I figured it was only fair to give some attention to the dads and dad-figures out there! 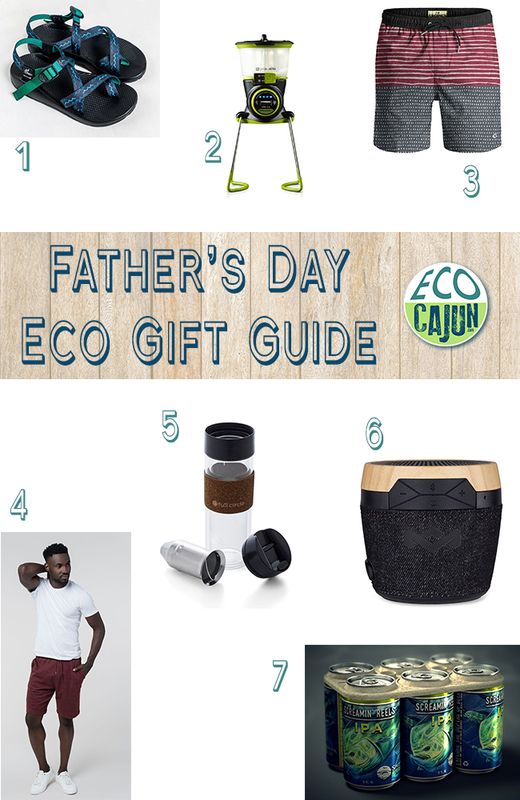 Help Dad take it easy with this collection of eco-friendly gift ideas. As with all of my gift guides, these specific items are just some of the many eco-friendly options available. I hope they at least serve as a starting point if you're still stumped on what to get your husband, father, in-law, stepfather, or just your favorite dad friend! These sandals are part of a Chacos and United By Blue collaboration. United By Blue is a US-based certified B-corp who commits to cleaning one pound of trash from the ocean for every purchase made. The sandals themselves feature vegan-friendly materials and are made in the United States. This handy mini lantern can be recharged from a USB source or with a connected solar panel. It's great for camping, hiking or even as part of your sustainable storm supply kit. As a company, Goal Zero aims to provide solar panels and portable power options for anyone to be able to use. Additionally, The Tropics conducts monthly beach cleanups in Miami, and they're a member of 1% For the Planet. These lounge shorts are made of 60% organic cotton and 40% recycled polyester, and are a soft french terry feel. I've got a few pieces from Pact at home and definitely enjoy that they're a more affordable organic cotton brand. This portable coffee maker is made with BPA-free and eco-friendly materials like glass, cork, bamboo and recycled plastic. In addition, Full Circle Home is a certified B-corp. The link above goes to EarthHero, one of my favorite general eco-friendly retail websites. I love this gift idea for the guy on the go, as I think of my husband who brews his coffee every morning at home before heading to the office. Bluetooth speakers are extremely popular these days, and this one is made with more eco-friendly materials. In addition to using renewable bamboo, the speaker utilizes upcycled cotton and recycled PET plastic. House of Marley also plants a tree for each purchase made. This speaker can also be purchased through EarthHero. If you're looking for other general gift ideas for guys, check out their Mens Apparel* section here. I recently shared an article on my Facebook page about Saltwater Brewery's commitment to the environment by switching to edible six-pack rings. 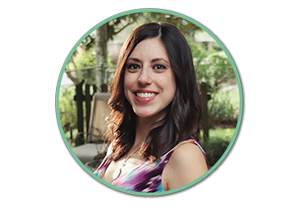 With Saltwater being based in Delray Beach, Florida, ocean pollution is extremely common, and they decided to do something about it. The rings, called E6PR (Eco Six Pack Ring), are made of wheat and barley, so they can biodegrade or serve as a food source for wildlife. Better than choking on plastic, right? It's my hope that many breweries adopt an eco-friendly alternative like this. For now, pop open a cold beer and support the breweries who are making better changes! If you're in Florida, find Saltwater through their distribution partners, and shop online if you're not in Florida. I hope this list gives you some great inspiration to go green when celebrating Dad for Father's Day this year!